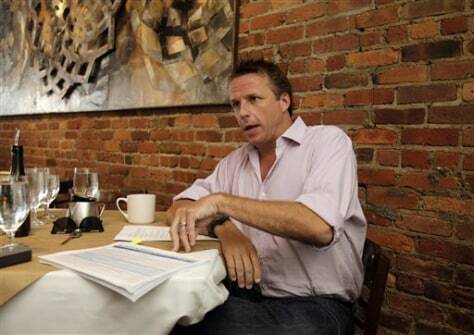 Restaurateur Marc Murphy is interviewed inside his restaurant, Landmarc, in New York, on July 15. As a judge on the Food Network's "Chopped," Murphy lowers the boom on chefs who can't make tasty dishes out of mismatched ingredients. He is equally critical of the letter grade system, which he considers arbitrary and unfair.